If you are trying to lose weight, tracking your progress on printable weight loss charts is a great way to watch your progress and stay motivated. The following printable weight loss charts give you the means to track your progress. To download the printable, simply click on the thumbnail image to open the PDF file. Once the chart opens in a new tab, you can print or download it. If you need help downloading the printable, check out these helpful tips. This chart is meant to help you determine how well your exercise plan is working. When you input your weekly weight and body measurements, you'll be able to easily see your progress. Download a weekly weight loss chart. Writing down what you eat throughout the day helps you stick to your eating plan and not overindulge. This chart also has a space to track the calories of each food to help you become better aware of how each one affects your dietary goals. 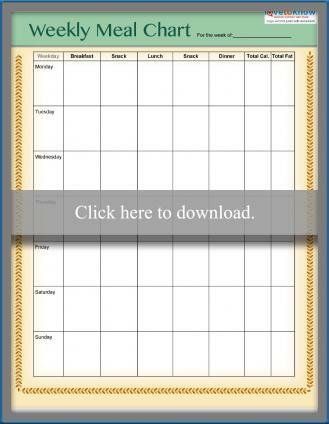 Download a weekly meal chart. According to the Mayo Clinic, the popular recommendation of drinking at least eight glasses of fluids each day is a good general rule although, depending on your exercise plan and environment, you may need more. Although all liquids count toward your daily adequate amount of fluids, studies cited on WebMD show water is best for hydration and weight loss. This chart helps you track your water intake each day. 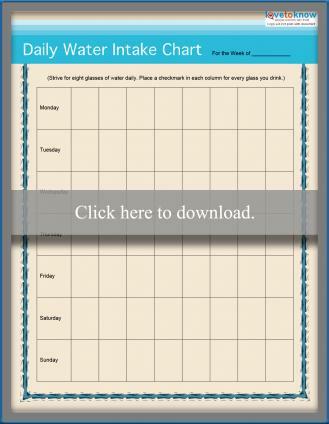 Download a daily water intake chart. Rewarding yourself helps keep you motivated during your weight loss journey. 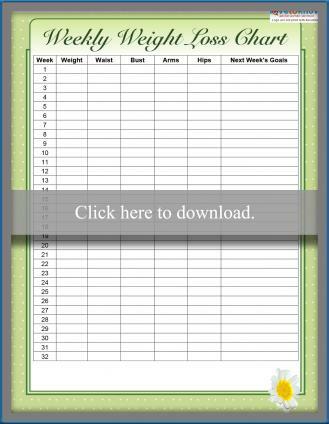 This chart provides a place to write down your weight loss goals and how you plan to celebrate when you meet them. Download a goals and rewards chart. 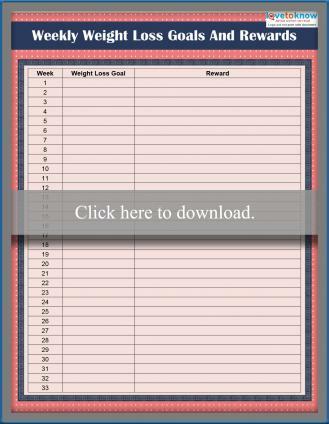 LoveToKnow offers other printable weight loss charts to help you track and reach your goals. Dumbbell Workout Charts: Strength training is an important part of any exercise program. These charts help you get started. Weight loss charts help you see your improvements (or setbacks) in black and white, leaving no question about how much you've lost or gained over a period of time. Charting your progress allows you to identify whether or not your diet is working. They also help you pinpoint problem areas so you can make whatever changes are necessary to help your reach your goals. Using weight loss charts keep you going even when you don't feel like it. 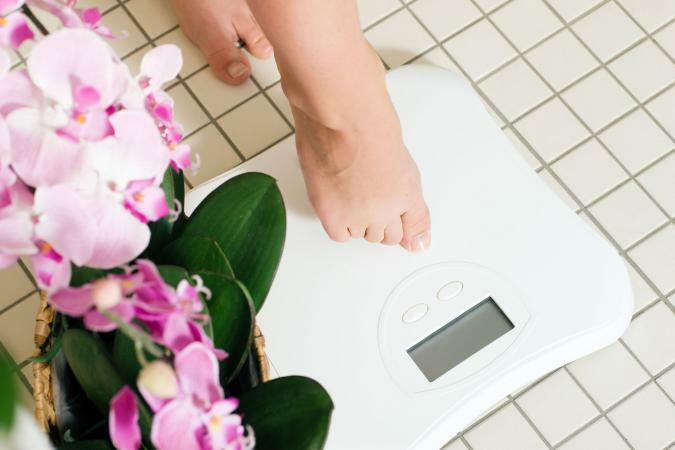 Once armed with the knowledge of how to lose weight, it's often the actual follow through that trips most dieters up. It can be challenging to track your daily food and water intake and weekly weight loss in your head. Display your charts where you will see them throughout the day so you'll have a powerful visual of your weight loss goals and accomplishments.